Travel in style by transporting your pet with the Precision Pet Cargo Kennel! This is the best plastic dog crate solution for dogs that travel quite a bit and are always on the go! The Cargo Kennel has it all. It is very durable, comfortable, safe for your animal to travel in and looks great! Security and safety features are a must and this kennel provides both - with spring-locking door latches and locking side latches. It is made with E-coated wire on the door for added protection. The windows are located on all four sides of the kennel providing plenty of ventilation and a rather wide area for your pet to look out of. This kennel is made of ABS plastic and features two shells that fit into each other for compact, easy storage, comes with ventilation on all sides, a spring-locking latch door, locking side latches, and a reversible door for left or right-handed use. Want to travel the airways with your dog or cat in safety and style? 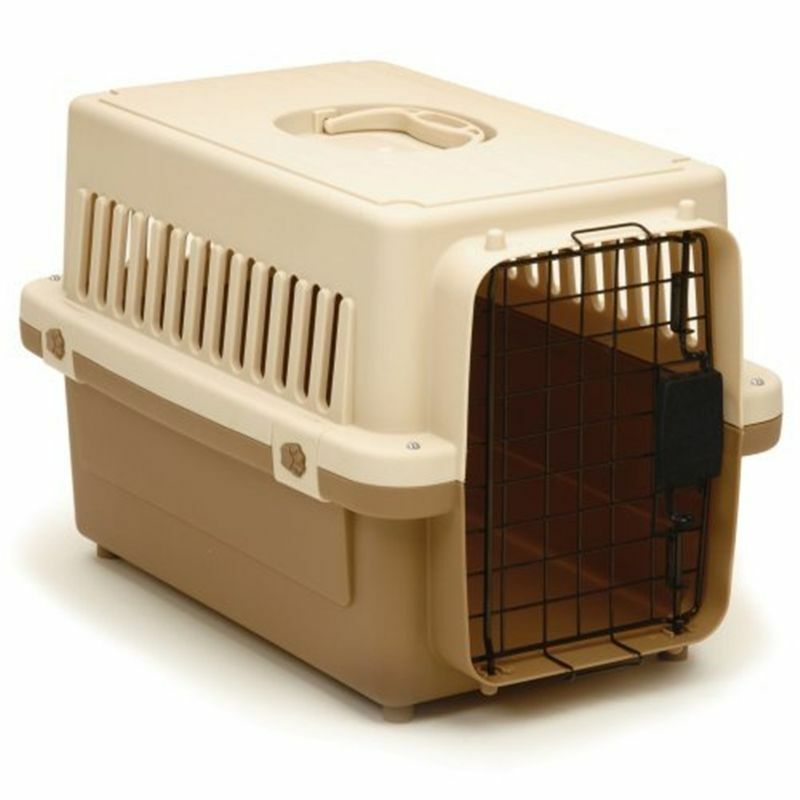 The Precision Pet® Cargo Kennel is the durable means you are looking for. This quality product meets international airline requirements. This crate is rated as an airline approved crate, but regulations may differ from airline to airline so call ahead to make sure you are fulfilling all travel requirements for your pet.